If you were a child of the 90s, you remember the powerhouse sitcom Family Matters, where the Steve Urkel vs. Stefan Urquelle dilemma forced us to ponder whether we could enter a transformation chamber and activate our ‘cool’ gene. Seriously. 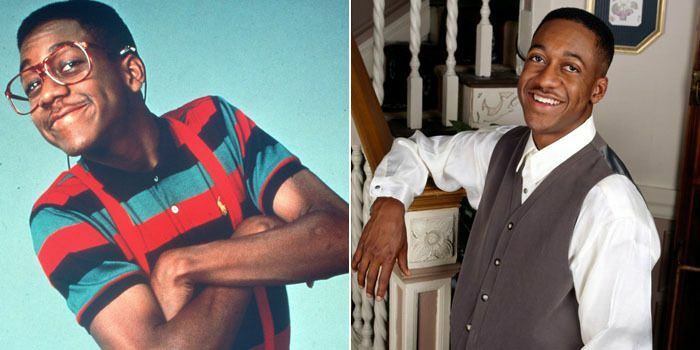 Steve Urkel was the geeky, clumsy nerd (uttering “Did I do that?” in response to every terrible event), whereas Stefan Urquelle represented the suave alter ego. Actor Jaleel White brilliantly portrayed the dual characters, making fans vacillate between who they adored more. But, as much as we saw Steve and Stefan as two sides to the same coin, they were distinct in personality, preferences, and how they responded to circumstances. Other characters on the show treated them differently and their unique behaviors shaped outcomes for how the script played out. The same could be said for how we, as marketers, define and identify our audiences. The Big Idea: As marketers and dreamers, we get to invite folks to join our mission to change the world. This means we need to understand how to deliver value to potential donors in the right way, with the right message, at the right time. We can no longer afford to see donors as a singular mass entity; we need to see and treat them as the distinct, diverse groups that they are. We can improve fundraising outcomes by nuancing users’ behaviors, personalities, needs, and tribes. This is where segmentation comes into play. Quick Refresher: How do we identify and define segments? We find that nonprofits tend to segment based on a donor’s giving level: the tens, hundreds, and thousands of dollars. However, we miss out on 360 engagement when we only use donation data. To build authentic brands and loyal donors, we need to devote ourselves to knowing our customers authentically– complexities and all. Doing so increases customer lifetime value and decreases churn rates. Is your team consistently collecting all the data you need to paint a three-dimensional picture of your segments? 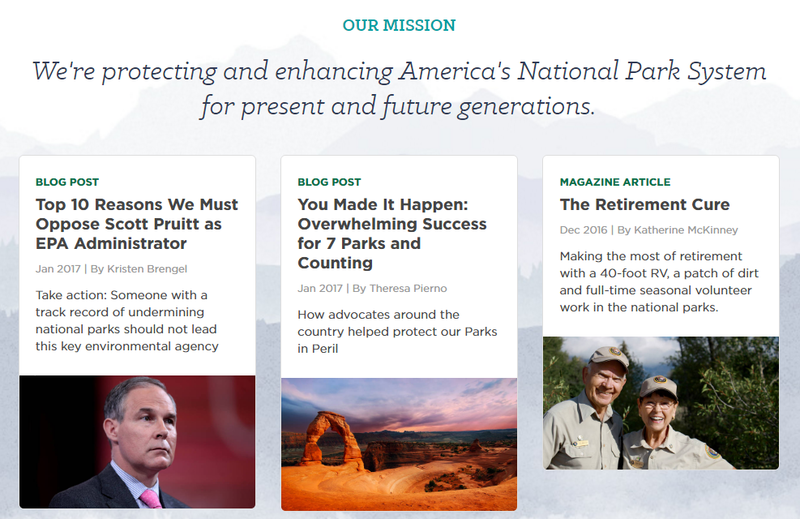 What’s their story and why are they engaging with your site? What litmus tests and segmentation processes are in place to ensure you’re accurately understanding your customers? How do you customize unique user experiences to cater to each of these customers, or are they all funneled through the singular, catch-all channel? Without further ado, to address the above questions, we’ve created a simple checklist. 1. Maintain a cohesive, comprehensive, and consistent user data set. Do you have processes in place to collect and manage user behavior data? When looking at data, I like to think of the three Cs: cohesion, comprehensiveness, and consistency. First, cohesion suggests that your data set holds together as a story. The web analytics, learnings from prototyping, user experience feedback, and product sales cycle should paint the entire target market you’re capturing well (and not capturing well). For example, landing page forms should ask for information that complements your understanding of the customer buying process. The customer’s mobile experience should complement qualitative input regarding your brand. Remember, any unnecessary clutter can infect the insights you want to draw. Second, comprehensiveness implies that you’re actually collecting all data points across all relevant channels. And I mean all the data points. If you don’t have a the proper dashboards set up in Google Analytics, do it. If you don’t know whether you’re asking the right questions in user testing, figure out which ones to ask. Third, make sure you’re consistently compiling data. Set up automation where possible. Let’s not talk about the consequences of skipping a couple weeks. We’ve all been there. We understand it can be overwhelming to maintain and digest large qualitative and quantitative data sets weekly, but doing so will help you nail down the first crucial step in donor segmentation. 2. Identify lowest common denominator attributes and map out the customer journey. The goal is to move from macro-segments towards micro-segments. The more specific, the better. Accidentally lumping donor groups together may compromise your ability to customize a meaningful experience. Yet, you don’t want to get too granular because no one wants to build a hundred different website experiences; you then end up sacrificing your brand to appease everyone. A. Take a bird’s-eye view of the data in aggregate: knowing how they found you, how they interacted with you, and their giving patterns (if any). C. Ask: What patterns do I see? What commonalities paint a broad enough persona to whom we can cater unique content, messaging, and CTAs? D. Group overlapping attributes into single, distinct profiles. Ideally, we recommend three (3) to five (5) profile segments. E. For each profile segment, map out the customer journey. That is, what pathways will optimize the end-goal of conversion (i.e., donation, or whatever engagement CTA you choose). F. Identify friction points and opportunities for optimization. 3. Design differentiated customer experiences. How are you designing customized experiences to target segments with different needs? As we know, generic experiences produce generic results. A. Develop lead-capture forms that naturally segment the audience for you. 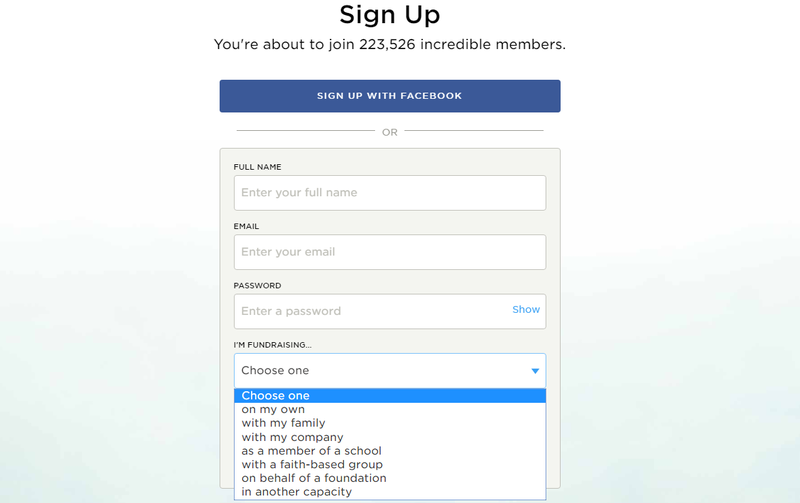 Notice how the below drop-down field naturally segments users on their fundraising approach. B. Use content to direct your audience where they want to go. Everyone loves good, well-written content. Once you have clarity and deep understanding of your segments, designing becomes much easier. You aren’t exempt from forever experimenting with different customer flows, colors, call-to-actions, or messaging. But, segmentation is a fantastic start. 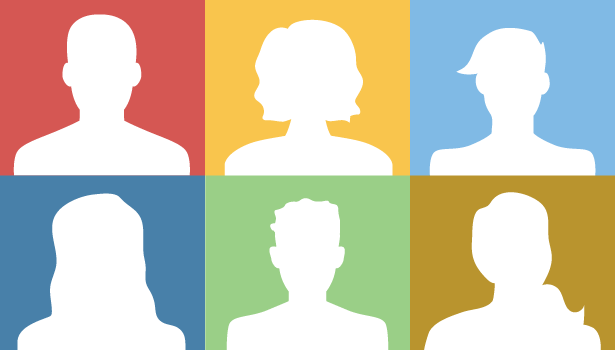 So, why does donor segmentation really matter at the end of the day? Data-driven really means you’re people-driven. 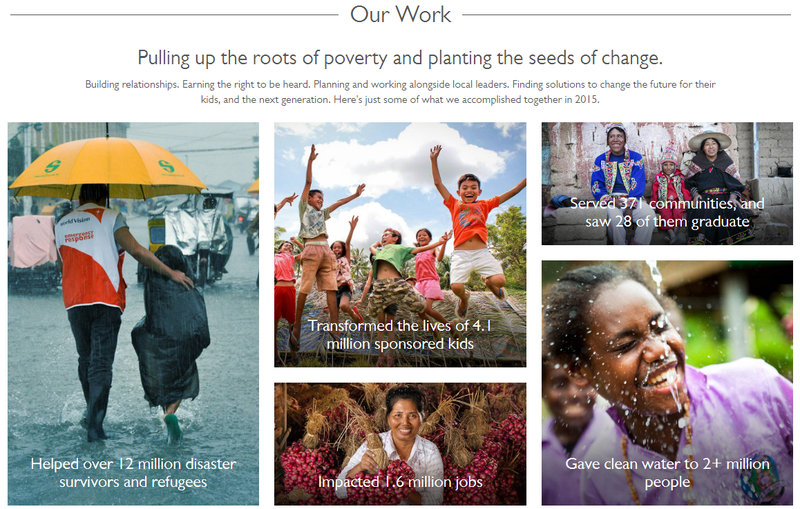 Instead of just bundling people together and hoping people give freely and frequently, we challenge ourselves to deliver better experiences to those who are on mission with us: our donors, partners, advisers, team members, and those who we seek to impact. Taking time to create the right donor segmentation and solutions helps us care more about our users as people. At the end of the day, it’s about empathy.